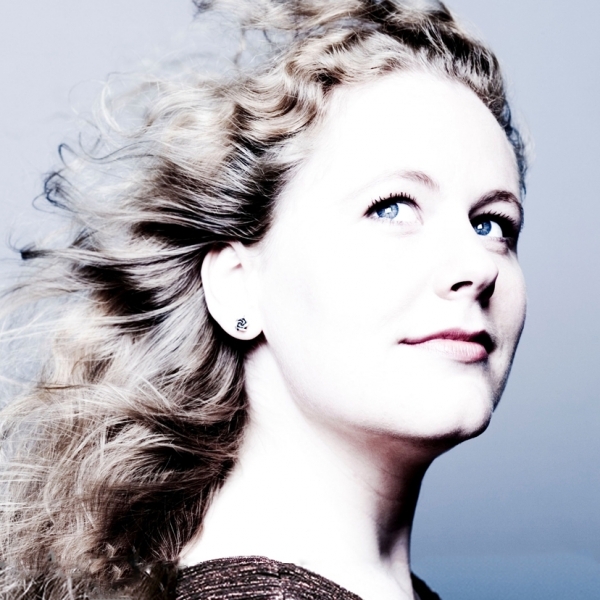 The Dutch mezzo-soprano Christianne Stotijn was born in Delft and studied violin and voice at the Conservatorium van Amsterdam. After obtaining her solo violin diploma she continued her vocal studies with Udo Reinemann, Jard van Nes and Dame Janet Baker. Over the years Christianne has won numerous awards, including the prestigious ECHO Rising Stars Award 2005/2006, the Borletti-Buitoni Trust Award in 2005, and the Nederlands Muziekprijs in 2008. In 2007 she was selected as a BBC New Generation Artist. Christianne is a passionate interpreter of art songs. Accompanied by the pianists Joseph Breinl and Julius Drake, with whom she has a longstanding duo partnership, she has appeared in the world’s leading concert venues. She regularly performs chamber music with musicians such as the violist Antoine Tamestit, her brother the double bassist Rick Stotijn and the Oxalys Ensemble. The conductor Bernard Haitink has had a profound influence on Christianne’s career. Under his direction she has performed with orchestras including the Royal Concertgebouw Orchestra, Boston Symphony Orchestra, Chicago Symphony Orchestra and London Symphony Orchestra. Christianne has also worked with world-class conductors such as Claudio Abbado, Ivan Fischer, Esa-Pekka Salonen, Yannick Nézet-Séguin, Andris Nelsons, Gustavo Dudamel, Mark Elder and Jaap van Zweden, performing repertoire including: Berlioz‘s La Mort de Cléopâtre and Les Nuits d'été, Elgar’s Sea Pictures, Britten’s Phaedra, Mussorgsky's Songs and Dances of Death, Mahler's Rückert Lieder and Kindertotenlieder, the Neruda Songs by Peter Lieberson, Fünf neapolitanische Lieder by Hans Werner Henze, Wagner's Wesendonck Lieder and Sieben frühe Lieder by Alban Berg. She has performed diverse world premières of contemporary works. For instance, Michel van der Aa jointly dedicated his song cycle Spaces of Blank to Christianne and the Royal Concertgebouw Orchestra in 2009. In 2013 she sang the world première of Totentanz by Thomas Adès at the Proms in the Royal Albert Hall, London. Christianne also appears regularly on the operatic stage. She has sung the role of Pauline in Pique Dame at the Paris Opera, Isabella in L'Italiana in Algeri at the Festival d'Aix-en-Provence, Ottavia in Poppea at the Dutch National Opera, the Teatro Campoamor in Oviedo and the Teatro Arriaga in Bilbao. She sang Cornelia in Giulio Cesare at the Théâtre de la Monnaie in Brussels and at the Dutch National Opera. Other major engagements have included the title role in Tamerlano at the Royal Opera House in Covent Garden and the role of Brangäne in a concertante performance of Wagner’s Tristan und Isolde. In 2014 she will appear as Marfa in Mussorgsky’s La Khovanshchina at Oper Stuttgart. Christianne Stotijn’s recordings are brought out by the Onyx label. In 2010 her recording of Tchaikovsky songs received the BBC Music Magazine Award. For the MDG label Christianne recorded a work close to her heart: Die Weise von Liebe und Tod des Cornets Christoph Rilke by Frank Martin. This recording earned her the ECHO Award ‘Liedeinspielung des Jahres 2008’.